A genetic experiment is tortured almost to death with cruel scientific tests. The original story line which kept growing during all these years. "Adres" manages to explore the Laboratory building and meets Laura, another Xeno experiment like him. Adres tries to escape the laboratory building. Adres and Laura find shelter in a rebel hideout. Adres realizes the true nature of the Consortium experiments and his own existence. 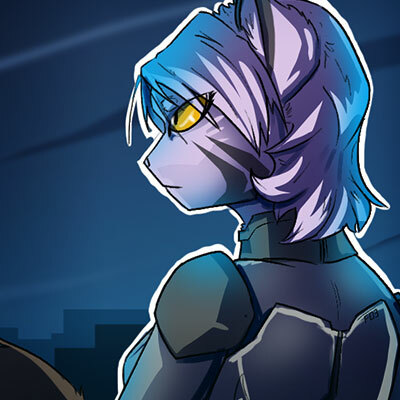 Prologue for Derideal part II, this is Adres's Last stand against the Consortium. The Consortium set his new tactical asset to field test. Alpha meets an unexpected ally during a mission. A Consortium prison is under attack and Alpha gets caught in the mess. Ivory gets a new partner. The rebels have found a vulnerability in the Consortium's infrastructure and the city is in danger, and Alpha appears to be sick and can't be sent to investigate a suspicious event happening in the satellite city. Like the new Derideal but curious about the original story? or an old reader with nostalgia? Find the old version here. ¿WANT TO KNOWN MORE ABOUT DERIDEAL?